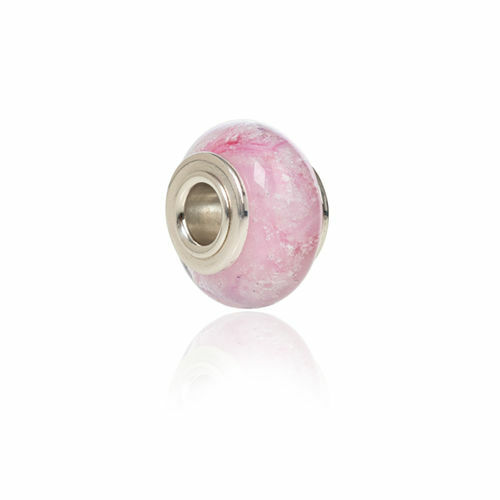 The Inspiration for this Cremation glass charm bead made from pink Murano Glass was a bouquae of Roses. 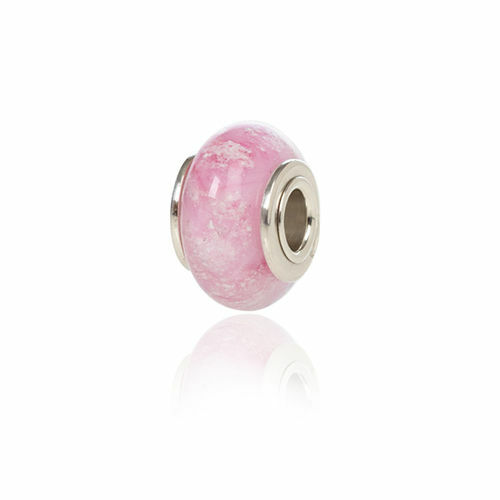 like the flowers this Charm has a blend of swirly soft pinks for that more feminine look. A scattering of your loved ones ashes will be carefully encased inside the glass by highly skilled glass artists in our Berkshire studio. 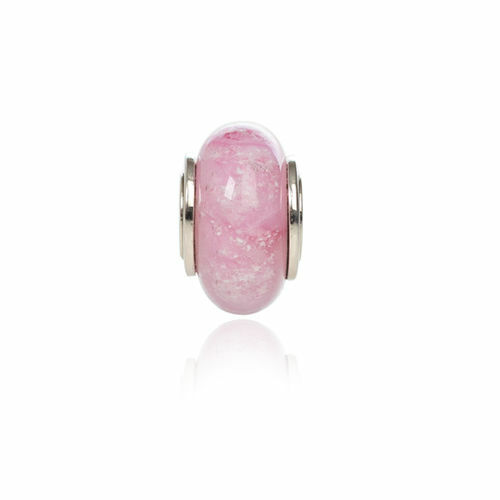 The charm bead is set with Sterling Silver core, and comes with a gift box, Certificate Of Authenticity and free aftercare pack. A touching expression of love.